Extended Producer Responsibility ( EPR ) and product stewardship are ideas which are gaining traction globally. Vilifying corporations may be satisfying to NGO's but the expense of recovery will be passed along to the consumer. The logic is that a corporation must be responsible for the entire life cycle of a product all the way to final disposal at end-of-life ( Germany holds the manufacturer legally responsible for the entire life cycle of the product under what is called "comprehensive outcome" ). This would include re-use, take back and/or recycling. Problem: this costs money which is not presently included in the cost of the item. Now the consumer pays for only the cost of the item hopefully produced with a small profit and quite possibly at loss. There is simply not enough profit built in to absorb these additional costs. 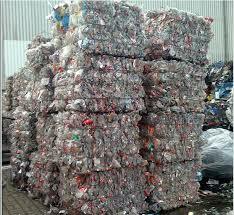 Packaging does not have a secondary use and cannot be repurposed. Container deposit legislation shows the consumer that recycling and recovery costs are extra. 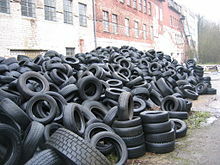 The cost of disposing of toxins is often included in the sale price of some items. Extending this principle to inert, non-toxic plastics is a bit of a stretch. Just my opinion. Container deposit legislation shows the consumer that recycling costs more than the container by itself. Follwing the logic, the plastic processors are responsible for the behavior of the consumer who chooses to litter instead of recycling. 2 out of 3 containers made from #1 PET, the most recyclable of all polymers, end up as litter or landfill despite the best efforts of large corporations to encourage recycling. Crafting EPR legislation might get complicated. How would the cost be allocated ? How much should the resin manufacturer be responsible for and how much for the processor ? So-called "triple bottom line" concepts such as environmental full cost accounting ( EFCR ) and true cost accounting ( TCA ) attempt to capture the costs of the entire life cycle. They are open-ended and subjective at best. If the blame for plastic waste gets shifted to us plastic straw men, reality is the consumer will ultimately pay. Just as corporations pass along the costs of taxes, the plastic industry will pass these costs along. Look who's paying the sugar tax in Seattle.